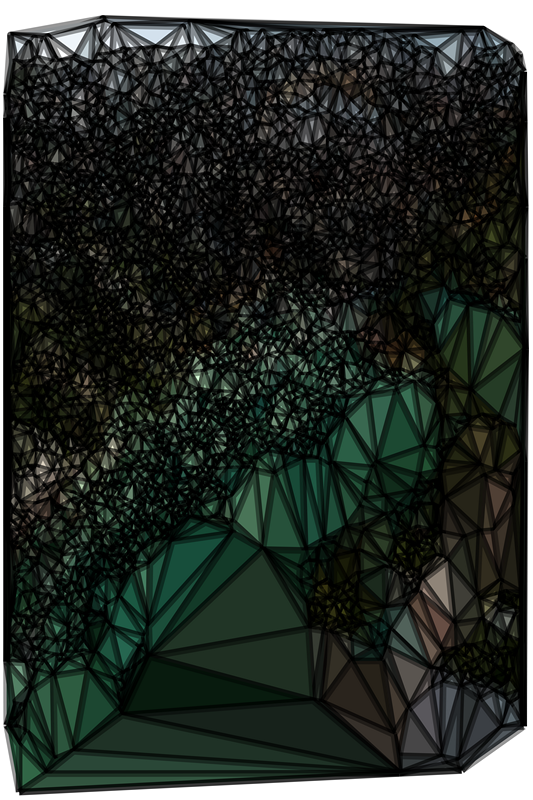 Provisional software-assisted works based on compositing multiple images through feature-extraction and Voronoi graphs. Work in progress. Can this exact image be re-produced? Yes, no random elements exist in this process. Are there any other images on this website that were generated by this algorithm? Yes this project leverages similar techniques to other projects on this site.